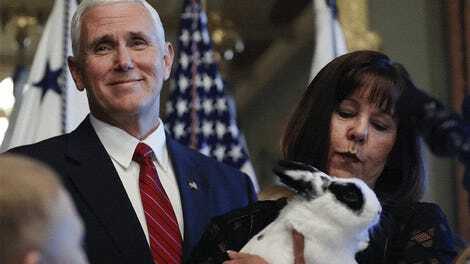 Marlon Bundo is not Mike Pence’s biological grandson—or is he? On Thursday, the author and rabbit posted a new photo on Instagram celebrating the Vice President’s 59th birthday. The photo depicts Pence, daughter Charlotte, and wife Karen. They are smiling in what appears to be the living room of the Naval Observatory. Possibly the house they shot Hilary Duff’s “Come Clean” video in. Charlotte holds Marlon Bundo in her arms, as one would a pet rabbit. 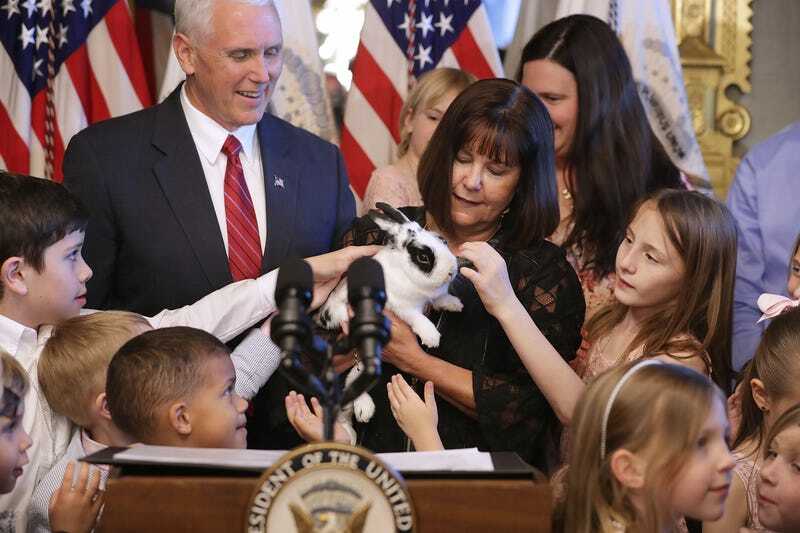 Does this mean that Marlon Bundo is Mike Pence’s grandson? Are terms of familial endearment such as “grampa” or “my big son” not meant to be taken literally when used in reference to one’s pets but rather understood to be a measure of one’s affection for said animal? Does the person who runs Marlon Bundo’s verified Instagram account actually think it’s spelled “grampa” or was that a character choice? Which answer’s less gross? I’ve reached out to White House Press Secretary Sarah Huckabee Sanders to find out if Marlon Bundo is Mike Pence’s grandson. I’ll update the post if and when I hear back.